Dr. Gregory D. S. Anderson recently published “Auxiliary verb constructions in the languages of Africa” in Studies in African Linguistics. This mammoth 409-page study examines verbs from over 500 African languages! 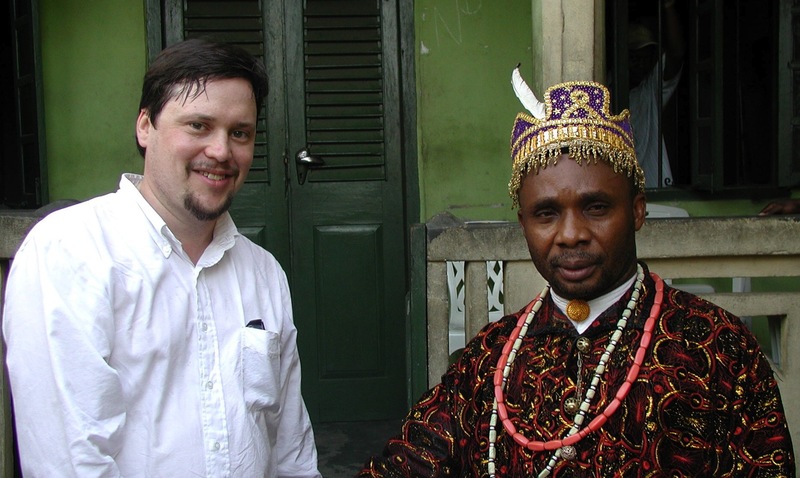 Here is Anderson when he was doing linguistic fieldwork in Nigeria; he is photographed with the ruler of Alesa clan, HRH Emere Emperor John D. Nkpe II, Onch Alesa X (Eleme LGA, Rivers State, Nigeria). 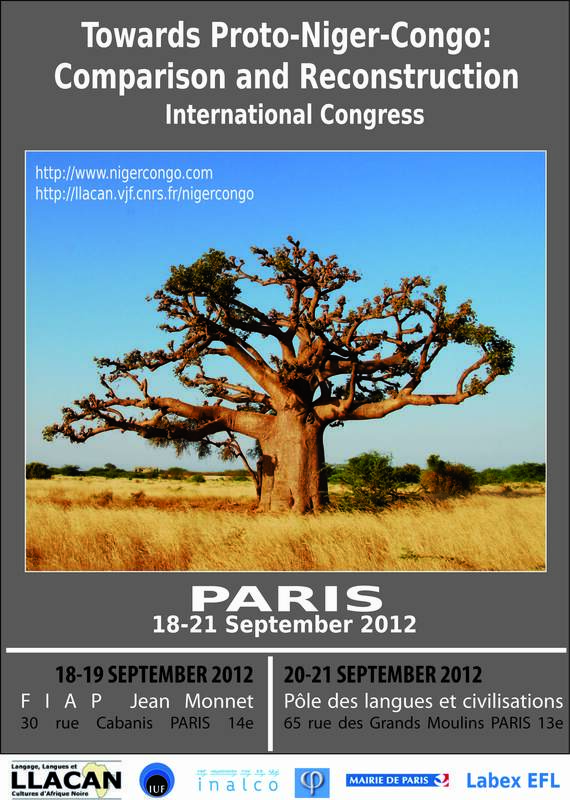 His presentation was entitled “S/TAM/P morphs (Portmanteau subject/TAM/polarity morphs) in Niger-Congo languages” and his abstract can be found with the rest of the participants abstracts on the conference website. This entry was posted in Digital Resources, Endangered Language Activism, Gregory D. S. Anderson, Media and Publicity and tagged Africa, African Linguistics; auxiliary verbs; morphology, Auxiliary Verbs, doubled inflectional patterns, languages of Africa, publication, split/doubled inflectional patterns, studies in African linguistics, typology of inflection in auxiliary verb constructions [AVCs] by livingtongues. Bookmark the permalink.